When you were younger, you used to explore the outdoors and bring strange things into the house (like lizards, toads or worms). Your mother would probably ask: What is that? Where did you get it? What are you going to do with it? When you receive the Aaronic Priesthood, you'll bring that home with you too (and your mother will be thrilled). Maybe she'll ask you some similar questions: What is it? Where did you get it? What are you going to do with it? This book tries to answer those questions — what the priesthood is, its origins and purpose, and what you can do to honor it. 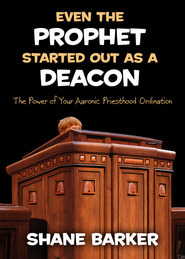 Using humor, stories, scriptures, and quotations from Church leaders, Honoring the Priesthood will help a young man learn his duty in the Aaronic Priesthood and help prepare him for advancement to the higher priesthood. My 11 year old son and I read this book several weeks before his 12th birthday and his ordination. It was full of wonderful information to help him prepare and understand the responsibility and duties with receiving the priesthood. Even myself, being a member my entire life learned new things about the sacred sacrament, fast offerings, and duties of a priesthood holder. 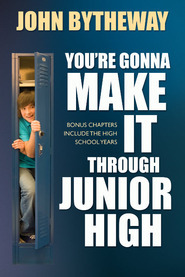 We both love the easy reading, appropraite humor and the way John Bytheway gives his message. I would highly recommend this to all member of the church.